Ho'opili is a 20 year master plan community by D.R. Horton. 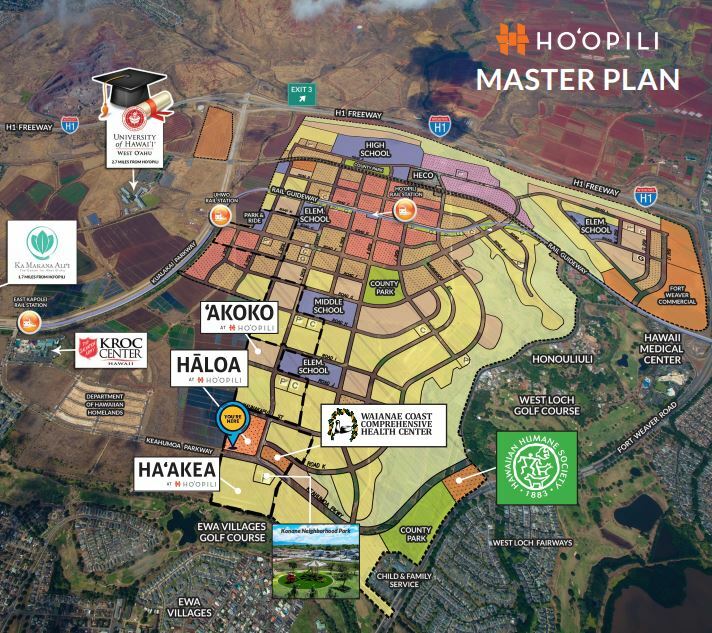 Ho'opili is projected to be a substantial addition to the ever expanding Kapolei/Ewa community. There will be a mix of residential, commercial, industrial​, agricultural, community, transit, and other mixed use spaces. Ho'opi​li will provide approximately 11,750 new homes to the area along with new elementary, middle, and high schools. The newest master planned community in West Oahu will be between Ewa Beach and Kapolei. It will feature its own zip code and is projected to be a 20 year master plan consisting of multiple phases for single family and town homes. Each phase also has a number of affordable housing for first-time homebuyers.